Quite some time has passed and although there were a few tries to standardize the active shutter glasses for 3D products, so far we have been nowhere near achieving that important goal. The solution was for some third party manufacturers to make universal active shutter glasses that are compatible with multiple products, but that simply requires you to buy additional hardware. Things however maybe moving in the right direction after Panasonic Corporation, Samsung Electronics, Sony Corporation and X6D Limited (XPAND 3D) have announced their intent to collaborate on the development of a new technology standard for consumer 3D active glasses called “Full HD 3D Glasses Initiative”. The first three are some of the top names in the consumer 3D product market at the moments and the fourth company is one of the makers of universal 3D glasses, so if we get a few more companies to join in and we are going to be almost there achieving the standardization of the active 3D shutter glasses. The “Full HD 3D Glasses Initiative” is targeted to be launched in September 2011, at which time the development of new standardization-applied active 3D glasses will begin, however the first universal glasses with the new IR/RF protocols will be made available in 2012. These new active shutter glasses will be using Bluetooth RF technology as wireless radio frequency medium for communication with 3D-capable display solutions, but will also be backward compatible with 2011 3D active TVs using infrared communication. If you remember a few months ago Samsung was the first company to start offering Bluetooth-based active shutter glasses that were compatible only with some of the latest generation of Samsung’s 2011 3D TVs. Hopefully this initiative will make the life of consumers using different 3D-capable products easier, but as I’ve already mentioned this will not happen before 2012, so there is still time. The company 3DTV Corp is a maker of more affordable “generic” 3D active shutter glasses for different 3D-capable products and they apparently also offer alternative glasses for 3D Vision as well… or more precisely said compatible with 3D Vision. 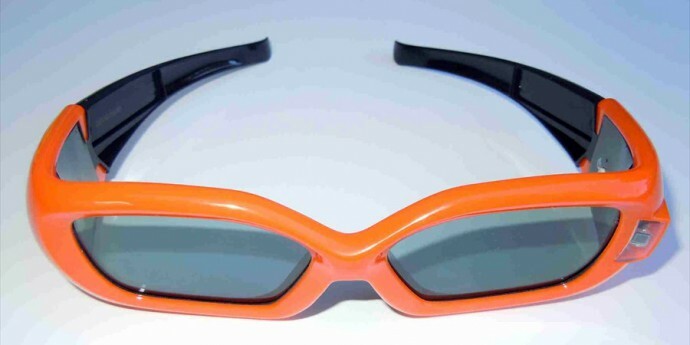 The 3DTV Corp shutter glasses model NV1 pictured above with orange frames are available for $68 USD. They should be compatible with the Nvidia IR emitter and work with 3D monitors and 3D projectors (3D laptops may or may not be compatible, there is contradicting information) that have the infrared emitter either built-in or connected externally, so you can use them as an extra pair that comes cheaper than Nvidia extra pair of glasses only. 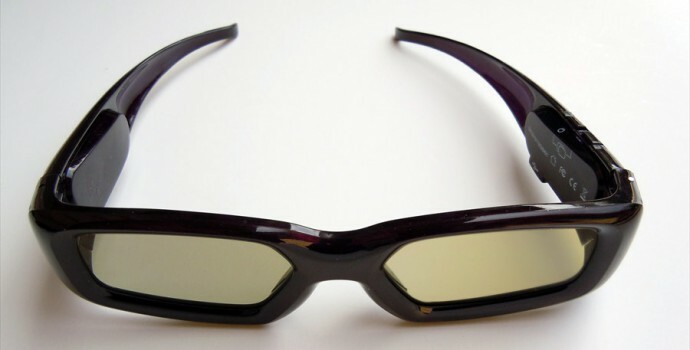 The glasses should also be compatible with DLP Link 3D HDTVs and 3D DLP projectors as well as other devices that do come with the standard 3-pin mini-DIN VESA stereo connector (Nvidia Quadro cards for example) by using an additional 3DTV Corp GEN2 Emitter. Have in mind that these glasses are cheaper for a reason and in order to make them more affordable, their maker decided to go for the use of a standard single use CR2032 battery instead of a rechargeable lithium-ion battery. The operating range is up to 10 meters according to the manufacturer. The other more interesting offering from 3DTV Corp is their 3D Window PC-RF Kit that uses an RF (radio) emitter instead of IR (infrared light) for communicating with the shutter glasses. This kit is also compatible with Nvidia’s 3D Vision, but it does not need the IR emitter, apparently the bundled RF emitter in the kit is emulating the infrared emitter effectively replacing it. This kit including the RF emitter and a pair of glasses is available for $125 USD, and here the glasses use a rechargeable battery and they actually look more like the original glasses from Nvidia. Having RF emitter instead of IR one means that you get up to 15 meters, no direct line of sight is needed anymore and you should not have interferences with other infrared devices. The RF emitter also has support for plugging into standard 3-pin mini-DIN VESA stereo connector, making these radio glasses compatible with other 3D devices as well. Have in mind that I have not personally tested these two types of alternative glasses and that you should be careful as some of the non-original shutter glasses that claim 3D Vision compatibility actually do have some trouble and can give you a lot of headaches. So anyone that actually has tried these glasses is more than welcome to share feedback on how well they work and how they compare to the original shutter glasses from Nvidia!